While doing Elders of Cataclysm (which I did finish), Moogle suggested we stop to buy camels. They were cheap, so I picked up both of them. Let’s be honest though; I don’t think I’m ever going to really want to use them. till, One Hump or Two? is nice. 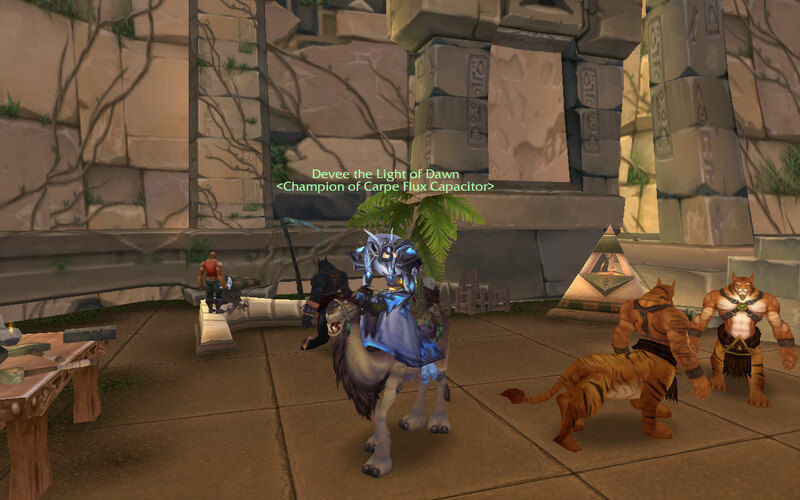 As an added bonus, I got Leading the Cavalry for obtaining 50 mounts! That’s pretty cool. I just have one small issue with this. 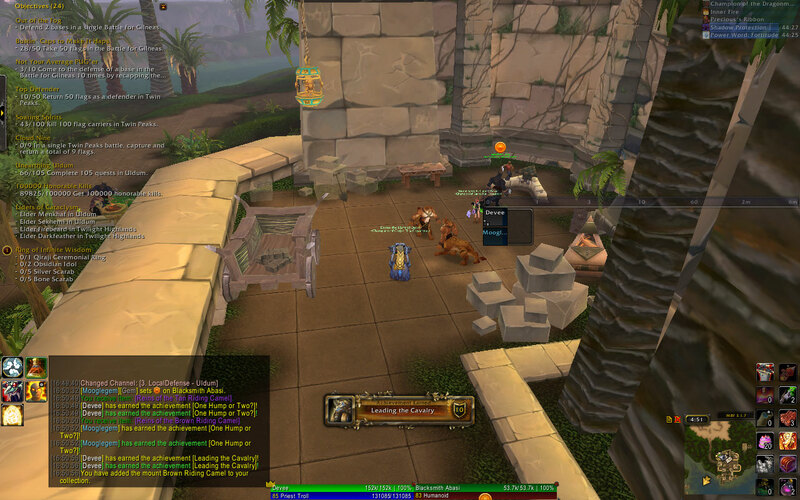 I get 50 mounts. Blizzard must be able to guess that if I have 50 mounts, some of them must be pretty sweet, right? 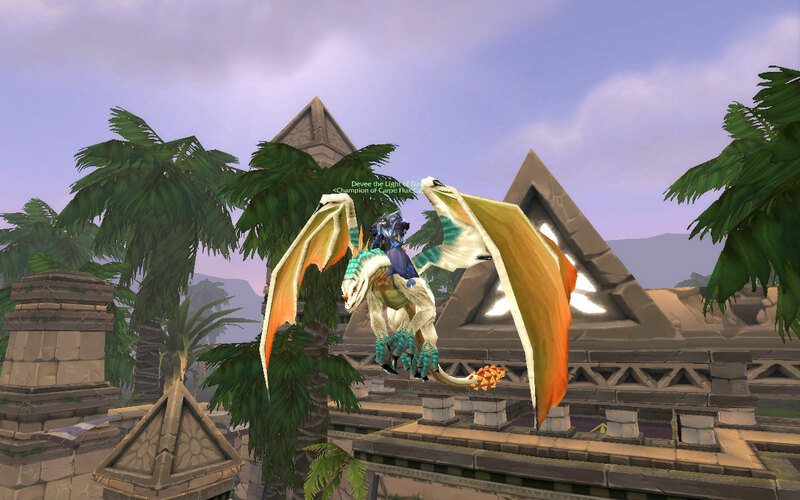 And then Blizzard goes “since you have so many sweet mounts, check this one out!” What is it? A boring Albino Drake. Thanks so much Blizzard. But still, I’ll take it!